Was the iPhone first sold before or after 2008? Which came first: Alexander Hamilton’s famous duel with Aaron Burr or England’s kissing ban? When was the Slinky invented? 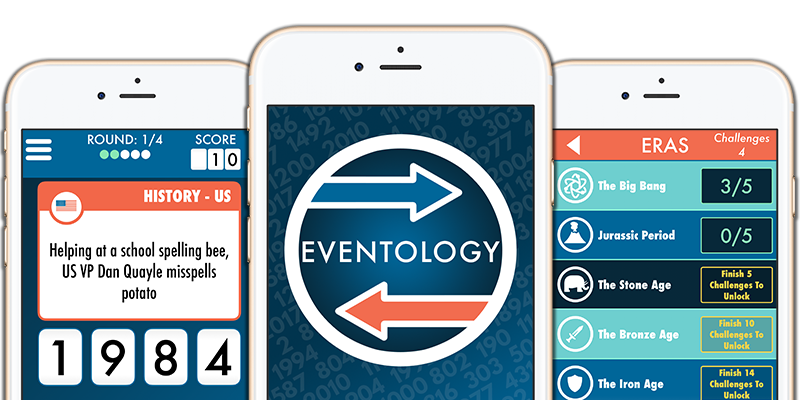 Eventology – The Game of History Trivia puts your knowledge of history’s most notable, interesting, and bizarre moments to the test. With over 1500 events spanning over two millennia, Eventology includes categories like Technology, War, Sports, and Entertainment. From Ancient Rome to modern day America and everything in between, Eventology is a blast of the past for all ages. Play it for free in the iOS App Store. • Before or After: Did this event happen before or after the year shown? • What Happened In This Year? – Tap the event that occurred in the year shown. • Ordered Dates: Put the events in order from earliest to latest. • Play Solo – can you get a perfect game? • Conquer the Journey Through Time by beating a 100 challenge campaign. • Play head to head local multiplayer via Bluetooth or WiFi with up to 4 people. • Play a tournament online with as many people as you wish. It’s about time you played! 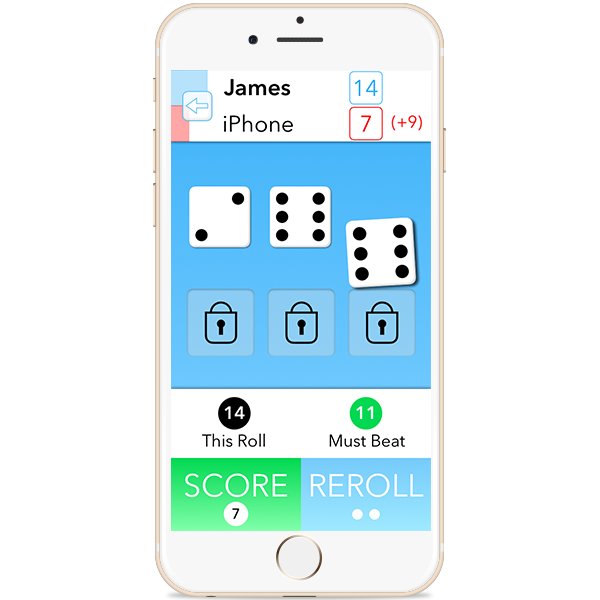 One More Roll is a fast paced, push your luck game available for free on iPhone and Apple Watch. The gameplay is simple to learn, quick, and surprisingly addictive. Play by yourself or with a friend! One More Roll has three awesome game modes. Sequential, where players take their turns in order: Perfect for Pass and Play. Parallel, where players take their turns at the same time. Frenzy, where both players race to the winning score. No turns, but surprisingly intense and whole lot of fun. 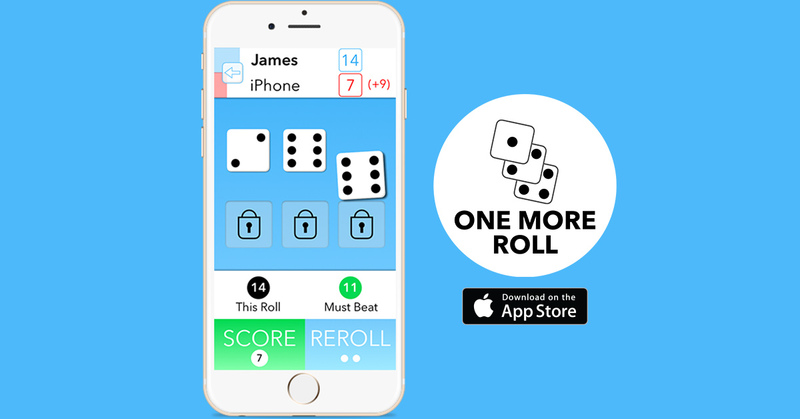 The quick, fun, and addictive gameplay of One More Roll is now available on your wrist. We optimized One More Roll for Apple Watch to support super quick game sessions without losing the engaging nature of the iPhone version. Play to 50 points against the AI in Parallel or Frenzy Mode. The combination of quick, simple gameplay plus fun strategy makes One More Roll the perfect Apple Watch game. One More Roll: Watch Edition starts at $10,000 is a free game for Apple Watch.